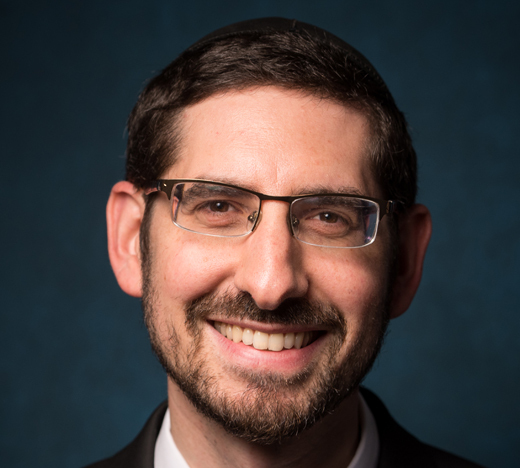 Rabbi Dr. Yosef Kalinsky, currently the associate dean for men’s undergraduate Torah studies, has been promoted to the dean of the program, overseeing the Mazer School of Talmudic Studies, the Irving I. Stone Beit Midrash Program, the James Striar School and the Isaac Breuer College of Hebraic Studies. Rabbi Menachem Penner, the current dean of the program as well as the Max and Marion Grill Dean of the Rabbi Isaac Elchanan Theological Seminary (RIETS), will now focus his energies more fully on the RIETS semicha [rabbinic ordination] program while Rabbi Kalinsky, working in close partnership with Rabbi Penner, will handle day-to-day operations and academic oversight for all undergraduates. Rabbi Kalinsky has had a long membership in the Yeshiva University family. He graduated from Yeshiva College in 2000 with a BA in economics, then went on to get semicha from RIETS (as well as participating in the Wexner Kollel Elyon and the Yadin Yadin Kollel), a master’s degree from the Azrieli Graduate School of Jewish Education and Administration, and an MSW and PhD from Wurzweiler School of Social Work. In 2007, he began working in the dean’s office of undergraduate Torah studies, becoming assistant dean in 2008 and associate dean in 2012. 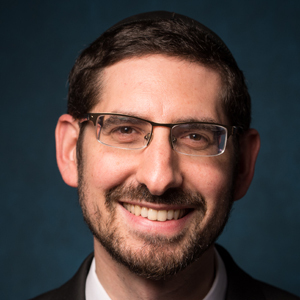 As an administrator living in the Washington Heights campus for more than 20 years, Rabbi Kalinsky has a unique perspective and insight into the student body. It is not uncommon for him to meet with students after 9 p.m. or to invite students to his apartment for Shabbat meals or for holidays. Rabbi Kalinsky enjoyed working closely under the leadership of Rabbi Penner and thanks him for “giving me the liberty to take initiative and to tackle issues.” He cites as one example a tracking system he introduced that compiles data on each student so that administrators can know how each student is doing each semester and, if needed, tweak individual courses of study to make sure the students are being provided an individualized approach to their education.